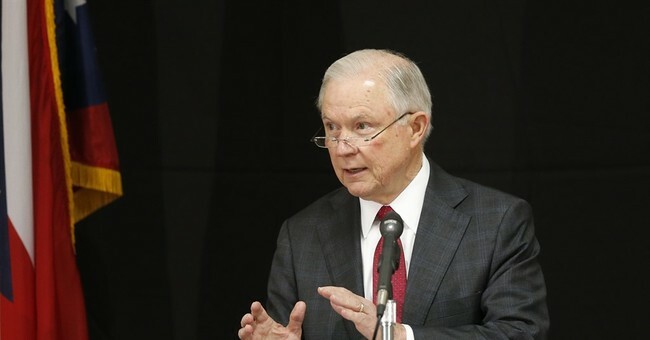 The Department of Justice announced a new policy Thursday that requires cities around the country wanting to participate in the Public Safety Partnership Program (PSP), which gives out grant money and helps with law enforcement resources, will have to prove they're working to reduce crime committed by illegal aliens. Further, cooperation with federal immigration agents will be required. “By protecting criminals from immigration enforcement, cities and states with so-called 'sanctuary' policies make all of us less safe. We saw that just last week, when an illegal alien who had been deported twenty times and was wanted by immigration authorities allegedly sexually assaulted an elderly woman in Portland, a city that refuses to cooperate with immigration enforcement," Attorney Jeff Sessions released in a statement Thursday. "By forcing police to go into more dangerous situations to re-arrest the same criminals, these policies endanger law enforcement officers more than anyone. The Department of Justice is committed to supporting our law enforcement at every level, and that’s why we're asking 'sanctuary' jurisdictions to stop making their jobs harder." "By taking simple, common-sense considerations into account, we are encouraging every jurisdiction in this country to cooperate with federal law enforcement. That’s what 80 percent of the American people want them to do, and that will ultimately make all of us safer—especially law enforcement on our streets," he continued. “These policies are driven by politics and do not protect their citizens. We will fight them with every lawful tool available." (1) Does your jurisdiction have a statute, rule, regulation, policy, or practice that is designed to ensure that U.S. Department of Homeland Security (DHS) personnel have access to any correctional or detention facility in order to meet with an alien (or an individual believed to be an alien) and inquire as to his or her right to be or to remain in the United States? (2) Does your jurisdiction have a statute, rule, regulation, policy, or practice that is designed to ensure that your correctional and detention facilities provide at least 48 hours advance notice, where possible, to DHS regarding the scheduled release date and time of an alien in the jurisdiction’s custody when DHS requests such notice in order to take custody of the alien? (3) Does your jurisdiction have a statute, rule, regulation, policy, or practice that is designed to ensure that your correctional and detention facilities will honor a written request from DHS to hold a foreign national for up to 48 hours beyond the scheduled release date, in order to permit DHS to take custody of the foreign national? These requirements are additional ways the Department is bolstering efforts to crack down on sanctuary cities.